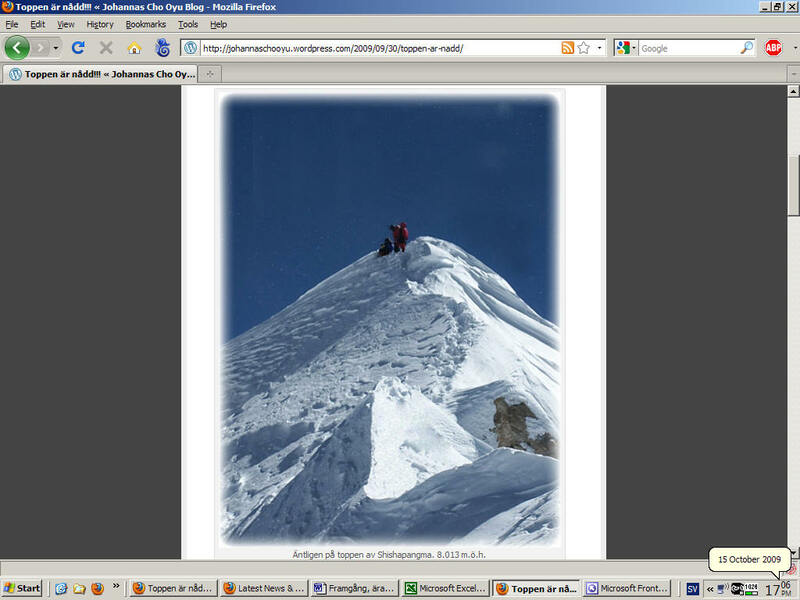 Himalaya 2010 climbing season, Karakoram and Himalaya wrap-up /26/ – Week in Review. Swedish sky-skier lost and a flood affecting more people than ever: the final chapter of the 2010 Karakoram climbing summer offered little joy. Austrian skyrunner Christian Stangl bagged the only K2 summit this season in a lonely 70 hours-long push up the Abruzzi Spur. In other news: Check out interviews, Solo North Pole flight photos, the Amazon walker who is finished after more than 2 years though the jungle, plus 14-year old Laura Dekker who has set sail on the first leg of her sail around the world. 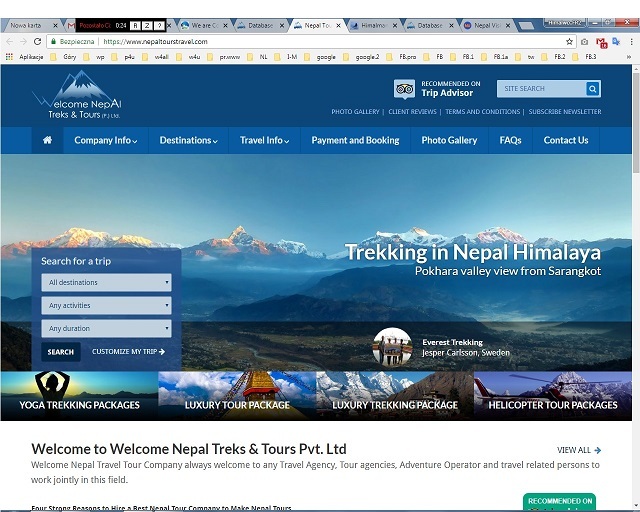 Alberto Zerain and a massive Everest & Himalaya 2010 Season’s End Chronicles are kicking off the Himalaya fall season and on the tech side – CONTACT Augmented is the next step. Everest north side: Alberto Zerain acclimatizing at 6,000m Already at the foot of Everest, Alberto Zerain has reached 6,000 in a first acclimatization trip. The Basque climber was forced to set up BC at 5,500 – ABC is out of reach for yaks due to heavy snow on the glacier. 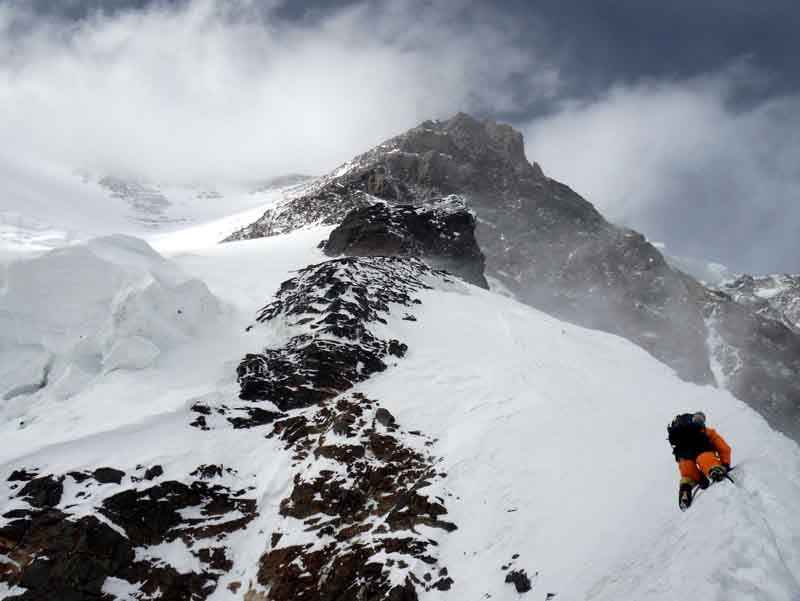 Alberto is alone on the Tibetan side of the mountain for a solo attempt of the Supercouloir. Pakistan: K2 climbers devastated by the loss of Fredrik Ericsson The amazing Swedish sky-skier fell to his death while on summit push in the Bottleneck with Gerlinde. Maxut Zhumayev and Vassiliy Pivtsov, Fabrizio, a devastated Gerlinde – all except for Stangl finally aborted their own attempts. Rain soaked K2 BC as they paid tribute to Fredrik; meanwhile fresh floods enlarged the path of destruction along the Indus river banks. Pakistan floods update “I have seen nothing like this,” UN chief Ban Ki-Moon said. “It’s the worst flood I’ve witnessed in my life,” ExplorersWeb Pakistan correspondent Karrar Haidri agreed. “It’s a disaster,” American Fabrizio Zangrilli confirmed from Skardu end last week. Christian Stangl K2 summit pic and report: “It was not fun at all” Austrian skyrunner Christian Stangl bagged the only K2 summit this season on Aug 12th, at 10:00am, in a lonely 70 hours-long push up the Abruzzi Spur. He is the only climber who has reached K2 summit this season. “If mountain climbing were as the last 70 hours here at K2, I would immediately stop,” he said back in BC. 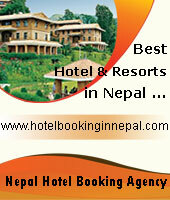 Check out his report and summit pic at ExWeb. ExWeb special report on “impossible” K2 & BP double-headers – American Chris Warner: “It is so alluring, that goal!” Year after year, a handful of Karakoram climbers try the Broad Peak and K2 double-header – only to return with one summit at best. Why is that? 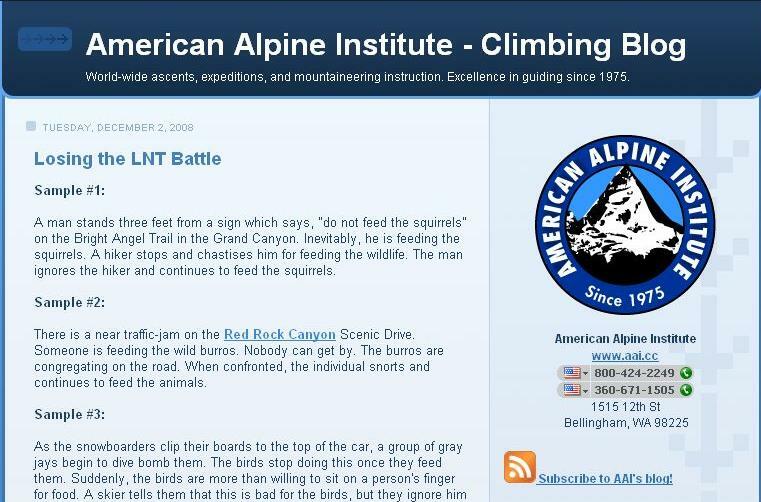 ExWeb asked around some seasoned climbers. 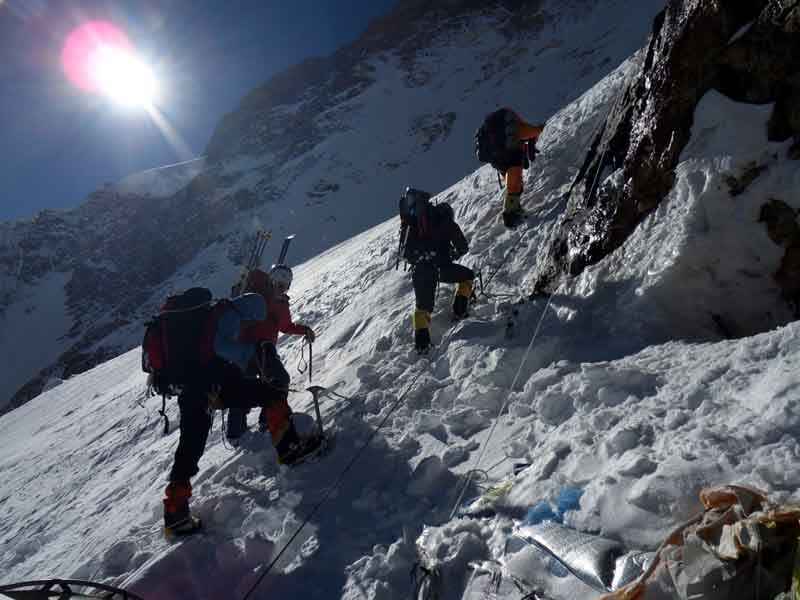 Part 1 covers 8000er Collectors, Everest Serial Summiteers and Lost Climbers. Part 2: The final chapter of the race between Edurne Pasaban and Oh Eun-Sun for the first female 14x8000ers ascent. 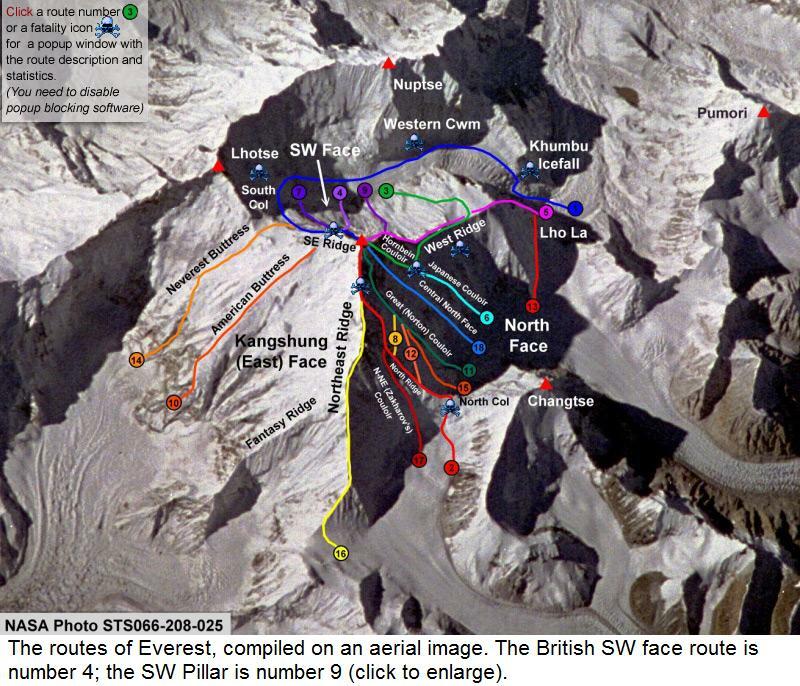 Part 4 finally covers serial summiteers, lower peaks, new routes, rescues and Sherpa racers. HumanEdgeTech presents: Contact Augmented Augmented reality mixes real-world environment with virtual reality features. CONTACT made lightweight satellite communication possible. CONTACT Augmented is the next step and Tom Sjogren at HumanEdgeTech explained all about it. ExWeb interview with Sean Burch Known for his super-fast ascents, American Sean Burch is about to cross Nepal on foot from India to Tibet on the Great Himalaya Trail. He will be climbing and running at altitudes over 20,000 ft during 10-15hr shifts per day. Sean will be dispatching over CONTACT A and told ExplorersWeb that the fly-in software rocks. Laura Dekker sets off on her circumnavigation 14-year old Dutch sailor Laura Dekker set sail August 21 on the first leg of her sail around the world. During the last two weeks Laura did some preparations in Portugal but set out from from Gibraltar to avoid press attention. North Pole Yacht Race: Neck to neck Norwegian explorer Børge Ousland and his crew has just sailed in to the Laptev Sea in the North East Passage. A little bit further southeast the Russian expedition Peter 1st battling it out with the ice.The Russians have had a substantial lead. But not anymore. ExWeb’s Oceans Editor Jon Amtrup about sailing around Svalbard: “Safety is a state of mind” Norwegian Skipper Jon Amtrup set sail around Svalbard on ‘Explorer North’ an Ovni 435. She is in aluminum, insulated, has a lifting keel, an ideal boat for these waters, says Jon. He tells ExWeb about a first encounter with a polar bear, the remoteness and the promising ice conditions that could change 24hrs. Lipton Cup Sailing Challenge about to start in Cape Town Sailors from Southern Africa are competing in the Lipton Cup Challenge, which is being sailed in Table Bay from Sunday, August 22. Teams from Namibia, South Africa and Mozambique challenge against each other in L26 yachts. The youngest sailor is 13 years old. Solo North Pole flight photos American Wayne Maynard made a 1,844 nautical mile solo flight from Resolute Bay to the North Pole and back in a Cessna 350. 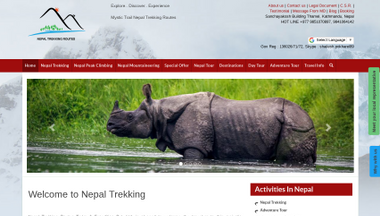 He sent through some photos to ExplorersWeb that he took enroute. Some of the pics are of his navigation equipment showing the variation and the effect of the Magnetic North Pole. ExWeb Interview with Sarah McNair-Landry, “The North Pole is a race against the clock” In March-April 23-year old Sarah McNairy-Landry followed her parents by guiding a ski expedition from Canada to the North Pole. She told ExWeb about the race against the clock, the challenging navigation at the end, plus some about her current canoe expedition in Mongolia and Russia. Eric Brossier and his hybrid-motorboat in Greenland Captain Eric Brossier and France Pinczon du Sel from Vagabond fame are in Greenland with a hybrid-motorboat equipped with diesel and electrical engines, 10 square meters of solar panels, two wind turbines and three sails. To complete the crew their 3-year old and 5-month old daughters are accompanying them. Greenland update: Eide and team skiing towards DYE II Christian Eide crossed the Icecap in May. He is back with another team for what was originally planned as an autumn crossing on the same route, from east to west. Too much meltwater on the west caused the closure of the route and Christian is curious how the conditions compare to his 3 previous autumn trips. Trans-Kalahari adventure run in Botswana kicked off Greg Maud, Kirsi Montonen and Jukka Viljanen started their 1000 km adventure run across the Kalahari in Botswana, Southern Africa. Kenya run update: Over halfway Chris Rhys Howarth who is attempting a 1,100 miles (1,770 km) run across Kenya reported incredible views while running in the shadow of Mount Kenya. Extreme Mountain biking: 6000m up a volcano Germans Frank Hülsemann, Markus de Marees and Andre Hauschke challenged themselves to cycle from sea level to above 6000m up the volcano Ojos del Salado in Chile. Altitude sickness forced two cyclists down but Andre Hauschke made it to 6085m without carrying or pushing his bike. Two around-the-world cycling speed attempts finished Alan Bate (45) finished his around-the-world cycle speed attempt in Bangkok after 114 days. He nearly collapsed during the last leg in Thailand because of food poisoning. Four days before Alan another Brit, Vin Cox (35), finished his around-the-world speed attempt, which he completed in 164 days. Daydreamed himself to the longest rivers Adventurer Mark Kalch is making the final preparations for his next big thing. He has daydreamed himself in to a massive undertaking called the “7 rivers, 7 continents” project – an attempt to make human-powered descents of the longest river on every continent. Amazon walker: It is finished after more than 2 years though the jungle “The cynics have been silenced – it is possible to walk the Amazon – we’ve just done it,” wrote Ed Stafford after finishing the 28 month challenge. He and teammate Gadiel “Cho” Sanchez finished at the sea on the east coast of Brazil after starting from the source of the Amazon. ExWeb interview with Roger Chao and Megan Kerr (final) “Be aware of cultural and religious traditions” As a woman she had to keep a low profile in strict Muslim areas, Megan told ExWeb. During their journey in Central Asia there were times that they felt unsafe, Roger added, but most people were nice. Read about the tension between the different ethnic groups and how to stay out of trouble. K2 and Broad Peak Polish Expedition 2010 – relacje, cz.5. Wyprawa : K2 and Broad Peak Polish Expedition 2010. 19 czerwca rozpoczęła się polska wyprawa na drugi szczyt świata K2 (8611 m). 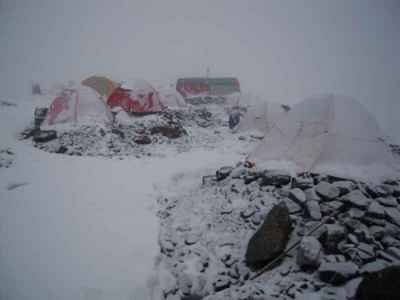 Jej oficjalna nazwa brzmi: „K2 and Broad Peak Polish Expedition 2010”. W skład wyprawy wchodzą: Bogusław Ogrodnik (kierownik), Anna Czerwińska, Dariusz Załuski, Kinga Baranowska, Tamara Styś, Marcin Miotk i Tomasz Kobielski. Ponadto w wyprawie udział wezmą: Rosjanin Jurij Jermaszek oraz lekarka Patrycja Jonetzko. W planach ekspedycji jest wejście na K2 drogą Basków (zwaną też czasem Drogą Česena). Być może alpiniści aklimatyzować się będą na sąsiednim Broad Peaku (8051 m), stąd również ten szczyt znalazł się w nazwie wyprawy. Uczestnicy wyprawy lecą do Islamabadu. Następnie do Skardu, skąd udadzą się karawaną poprzez lodowiec Baltoro do bazy pod K2. 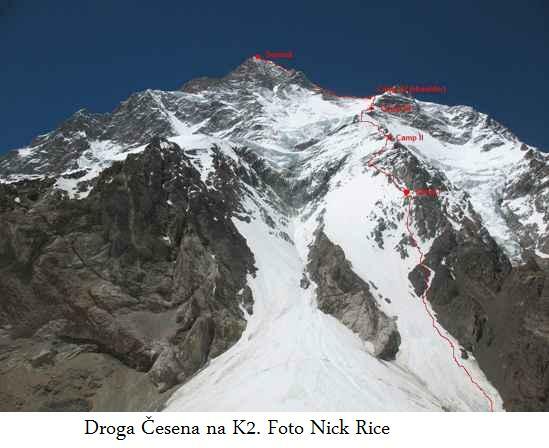 Polish K2 Broad Peak Expedition 2010: relacje – cz.5. Siedzimy wszyscy już trzeci dzień w bazie. Wokół okropna pogoda, pada deszcz ze śniegiem! Deszcz powyżej 5 tysięcy metrów, dziwne zjawisko na tej wysokości, ale ponoć w Karakorum nie takie rzadkie. Jedyną wątpliwą zaletą jest fakt, że nie zasypuje nam bazy świeżym śniegiem, tylko wszystko od razu topnieje. Mamy nad nami jakiś ciepły front, który skutecznie psuje pogodę w rejonie K2. Według prognoz może poprawi się po 3–4 sierpnia, więc cierpliwie czekamy, nic innego nie jesteśmy w stanie zrobić. Jeszcze kilka dni temu wszyscy byliśmy podekscytowani próbą ataku. Podzieleni na dwie grupy, które wyszły z bazy 24 i 25 lipca zmierzaliśmy w kierunku szczytu. Pierwsza grupa miała atakować 27 lipca, w niej Kinga, Tamara i Darek. Reszta ekipy, z przystankiem w obozie trzecim planowała atak 29 lipca, już po zejściu pierwszej trójki. Niestety już 26 było wiadomo, że ewentualne szanse ma tylko pierwszy zespół. Prognoza rokowała tylko na wejście 27, później pogoda gwałtownie się zmieniała. Zapowiedź silnego wiatru i opadów na 29 zatrzymała drugi zespół w połowie drogi w górę. Zeszliśmy do bazy i obserwowaliśmy poczynania Kingi, Tamary i Darka. Niestety 26 dotarli z powodu wiatru zbyt późno w rejony obozu czwartego. Rozstawili namioty w tzw. niższej czwórce, około godziny przed ramieniem K2. Podjęli decyzję o zejściu następnego dnia. Pogoda nie była taka, jak mówiła prognoza, wiec próba wejścia na szczyt mogła być zbyt ryzykowna. Liczymy, że pogoda niebawem się poprawi. U góry pada śnieg i oblepia skały. Jeśli będzie tak jeszcze przez kilka dni, może skończyć się to poważnym zagrożeniem lawinowym na naszej drodze. Droga do jedynki po opadach to zawsze loteria. Trzeba będzie poczekać dzień, dwa, aby spadły lawiny i dopiero można będzie działać. Liny poręczowe znów pod śniegiem do wyrywania lub do naprawy, droga na nowo do przetorowania. Łatwo nie będzie, ale duch w zespole ciągle jest! – K2 and Broad Peak Polish Expedition 2010 – relacje, cz.4. – K2 and Broad Peak Polish Expedition 2010 – relacje, cz.3. – K2 and Broad Peak Polish Expedition 2010 – relacje, cz.2. – K2 and Broad Peak Polish Expedition 2010 – relacje, cz.1. – K2 and Broad Peak Polish Expedition 2010. – Nanga Parbat i Gasherbrumy 2010: Powrót lodowych wojowników, relacje – cz.5. Himalaya 2010 climbing season, Karakoram and Himalaya wrap-up /25/ – Week in Review. American mountaineer Ryan Waters and his team of Elbrus climbers were among the 105 passengers freed from a hijacked plane by Russian special forces today. In other news: few summits in Karakoram so far and all K2 pushes aborted. Norwegian Plur Nilssen was pulled out of the tent by a polar bear. Wayne Maynard made it to the North Pole alone in his aircraft, 14-year-old Laura Dekker is free to sail and Jury-rigged Franco-Italian Alessandro Di Benedetto finished his circumnavigation. Boulder climber Ryan Waters after being freed by Caucasus plane hijack attempt: “All is OK” American mountaineer and recent Antarctica record skier Ryan Waters of Boulder is safe following an attempted hijacking of a domestic plane from Caucasus to Moscow. Ryan had just led a successful 8 person international team of members from US and Brazil up Elbrus for Mountain Professionals and was on the way to Moscow to fly back home when the hijack attempt took place. Svalbard kayakers attacked by Polar Bear Norwegians Sebastian Plur Nilssen, 22, and Ludvig Fjeld, 22, had a nightmare awakening on Svalbard Thursday. Plur Nilssen was pulled out of the tent by a polar bear and dragged off until his expedition partner managed to shoot the animal. Wayne Maynard’s flight across the North Pole For safety reasons, pilots assisting polar skiers always fly with a co-pilot and have fuel depots en route. But on July 27 at 3:50 pm Wayne Maynard made it to the North Pole alone in his aircraft. The 61-year old solo aviator made a victory flight over the Pole for his charity, took pictures, filmed a short video and made phone calls to donors, friends and family before he headed back to Canada. Teen sail update: Dekker is free to sail The 14-year-old Dutch girl Laura Dekker has been allowed to sail solo around the world by the court. She is back in the care of her parents, and as long as they agree she can start her plans for a record sail. She will start her circumnavigation in two weeks. GI and GII double-header bagged Early G1 summit claims around July 20 were left unconfirmed or denied by the climbers themselves. Canadian Don Bowie and Russian Alexei Bolotov’s attempt ended VERY close from target, in chest-deep snow and unstable snow slabs underneath. But, “If you can’t ride that thing like a pony, you ain’t on top!” Bowie “quoted” John Wayne and returned for another shot one week later. On July 29, Bowie and Bolotov summited G1 at last together with American Marty Schmidt and Czechs Radek Jaros and Libor Uher who completed their GI and GII double-header. Climbing with a HAP on K2, only three days after arrival in BC Bulgarian Petar Georgiev Unzhiev reportedly went directly to Camp 1 and on to Camp 2 the next day. Fellow mountaineers on the route reported that Petar seemed unwell but trusted the HAP would look after him. After pitching the tent and brewing up, Petar’s HAP however returned to base camp. The next day Petar was found dead inside his C2 tent. Cause of death was probably HACE according to American Trey Cook, climbing with Swedish ski-mountaineer Fredrik Ericsson. K2 Deep, unstable snow and wind increased during the night finally forced down all climbers pushing for K2 summit via the Cesen route on July 27. A second bid is planned by some, such as FTA and Korean Mr. Cha. Maxut Zhumaiev and Vassiliy Pivtsov arrived at K2 BC on July 25 after trekking along the shortest possible route via Gondogora La. 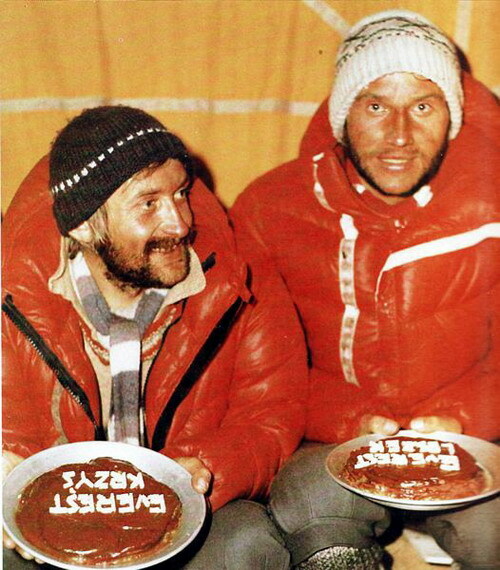 The Kazakhs plan a fast acclimatization round on the Cesen route, collaborating with the Polish team through Russian Yuri Ermachek. ExWeb interview with FTA: “Don’t expect tea served to you in your tent at C3 in the Karakoram” Although not strictly guided, Field Touring Alpine is one of the few “commercial” expeditions attempting K2. Stu Remensnyder plus guides Fabrizio Zangrilli and Chris Szymiec told ExWeb about the double-header strategy, collaboration with other teams and the real meaning of a “commercial” expedition in the Karakoram 8000ers. Broad Peak: nothing is impossible Slovakia Marmota expedition, the Russians and Norwegians Peter and Alexander reckon that “everything is possible and nothing is impossible for too long,” amidst massive snowfalls. GII Altitude Junkies team leader Phil Crampton reported that while he and four other climbers were forced back by high winds, Freddy reached the top on the 18th along with his friends Pasang Lama and Pemba Sherpa and two Korean climbers from the Korean expedition (a Swedish media report stating that Fredrik Strang rescued fellow mountaineers with wild swings of his ice-axe has not been verified). Phil Crampton reported from BC Tuesday that the remains of the team is holding out at BC for improved weather. J’Accuse: “Summit Sweeper” Arian Lemal strikes again “Staring at the atrocity for ten minutes, I counted 21 shredded-semi-buried-in-the-ice tents,” Arian reported from a junk-filled C4 on GII. “I also found “newish” empty gas canisters and food wrappers […] without asking, climbers believe it to be acceptable and maybe ‘useful’ to leave their unconsumed food for others. In my opinion, this is like abandoning rubbish,” he stated from BC. Italians Daniele Nardi and Lorenzo Angelozzi are on their way to 6,300 meters Hassin Peak in Hushe valley. The “Hassin Peak Freedom 2010” expedition will climb in alpine style and hope to bag the spire’s first summit ever. According to the Italians, Hassim has been only attempted once, by a Canadian expedition. Ama Dablam spring 2010: Russian debrief and reply to Philippe Gatta Eugeny Voronov took the thermos, and only the thermos he says, believing it had been left there by Zelenograd climbers. He then gave it back with an apology. He did not take the food and gas. Check out the Russian’s debrief and – um – feisty reply to Philippe Gatta. ExWeb Interview with Sebastian Copeland, “filming goes on top of the demanding physical requirements” Sebastian and Eric McNair-Landry hold the world record for the longest kite ski distance travelled in a 24h period. Sebastian documents his extreme expeditions on film and told ExWeb about caring for cameras and filming in sub-zero temperatures. ExWeb interview with Eric McNair-Landry, “I’m a kiter; I want to see the limits of this sport pushed” Setting a kite ski distance world record in June, Eric told ExplorersWeb all about the record setting day, navigating while kiting, and the gear he used on the record breaking trip. Salt flat solo crossing coming up Greek adventurer Yanni Piveropoulos is in the final stage of preparing for his solo, unassisted, unsupported trek from west to east across Salar de Uyuni, the world’s largest salt flat located in Bolivia at an altitude of 3,656 meters (11,995 ft). Charlie Frew’s Trans Eurasian off-road Expedition Charlie Frew is attempting a 25,000 mile off-road expedition through parts of the world’s most fragile environments and remotest habitable places. Starting in May he is currently in Mongolia making his way across Asia and Europe and aiming to finish in May 2011 in Portugal. Mongolia: Ripley Davenport evacuated Ripley passed the 1000 mile mark while trekking in the Altai Valley on his attempted solo crossing of Mongolia. Losing his footing on a steep slope, he was evacuated with injuries. Iceland: ExWeb interview with Christopher Mike Two years ago Brit Christopher Mike became the first person to walk solo across Iceland. He spoke to ExWeb about the route, the challenges and feasibility of a winter Iceland crossing, and the responsibility that adventurers have regarding their own safety and towards the host country. Iceland: Crossing lava and glacier fields Nearing Kotlutangi, the most southern point of Iceland, during the past week Louis-Philippe Loncke crossed a lava field and a section of Vatnajökull Glacier. Girls around Britain: Setting a new record The Seagals Belinda Kirk, Laura Thomasson, Beverly Ashton and Angela Madsen passed under London’s Tower Bridge Friday 23rd July and set a new new Guinness world record of 51 days 16 hours and 42 minutes for an all-female crew rowing unaided around Britain. North Pole Yacht Race: Russians in trouble Russian bureaucracy was a challenge even to the Russian expedition but the Russian steel yacht Peter 1 left Murmansk July 14th and got a gale pushing them North fast the first couple of days. Close to the top of Novaja Semlja they dealt with contaminated freshwater tanks. Challenging ice conditions in the Arctic Several sailboats will try to go through the Northwest and Northeast Passage this Arctic summer. It is not a given that they succeed, says Arctic ice expert and adventurer Knut Espen Solberg: one of the foremost experts on Arctic ice conditions who has lived and sailed in the area. Jury-rigged Italian finishes circumnavigation On Thursday July 22nd Franco-Italian Alessandro Di Benedetto arrived back in Les Sables d’Olonne, France. Alessandro spent the past 268 days circumnavigating the world in a 6.5 meter yacht solo. The last part, the whole Atlantic, of it with a jury rig. K2 and Broad Peak Polish Expedition 2010 – relacje, cz.4. Polish K2 Broad Peak Expedition 2010: relacje – cz.4. Karakorum pokazało, że nic tu nie jest pewne. Optymistyczne prognozy pogody sprzed kilku dni oraz myśli o ataku na K2 dziś są już nieaktualne. Wiemy już, że nie będzie okna pogodowego 24–25. Nowa prognoza mówi coś o ewentualnym oknie 27–28 lipca, ale trudno w nią święcie wierzyć, kiedy wkoło nie widzimy gór tylko chmury, a z każdą godziną w bazie przybywa śniegu. Czas spędzamy odpoczywając w bazie i dobrze się odżywiając. Krótko przed załamaniem pogody do bazy dotarły nowe ładunki z prowiantem, w tym świeże mięso z rodzaju miejscowego Yaka. W mesie widać więc często uśmiechy na twarzach podczas posiłków. Czas umilamy sobie również rozgrywkami w szachy, scrable, a nawet urządziliśmy miejscowe „laptopowe” kino oglądając kultowe „Lejdis”. Nie pozostaje nam nic innego jak czekać. Trzymajcie kciuki! K2 and Broad Peak Polish Expedition 2010 – relacje, cz.3. Polish K2 Broad Peak Expedition 2010: relacje – cz.3. K2 2010 — obóz trzeci założony, planowany atak szczytowy! Dzisiaj, mimo niezbyt przychylnej pogodny, cześć naszej grupy tj. Tamara, Jura, Darek i ja wyszła do C2 — chcieliśmy po prostu „wyprzedzić” okno pogodowe i być tam, gdzie trzeba — czyli w okolicach C3, kiedy pogoda będzie najlepsza. Szło się nam dobrze, ale powyżej obozu 1 dokuczały małe lawinki typu pyłowego. Musieliśmy się bardzo koncentrować, ponieważ rozmiękły już śnieg powodował, że bardzo łatwo można się było poślizgnąć. W dobrej formie dotarliśmy wszyscy do obozu drugiego. Jura w trakcie pokonywania ostrej grani w stronę obozu 3. Po wczorajszym wietrznym dniu nie byliśmy pewni prognozy na dzień dzisiejszy. Rano, po wychyleniu głowy z namiotu, szybko zdecydowaliśmy się z Jurą na wyjście. Wiedzieliśmy, że nie będzie to łatwe wyjście, bo plecaki mieliśmy wypełnione po brzegi jedzeniem, namiotem, śpiworami — po prostu nie mogliśmy liczyć na porterów wysokościowych. Jurę wyprawiłem pierwszego i dopiero później zacząłem gotować sobie śniadanie. Wiedziałem, że Jura jest jak czołg — może nie za szybki, ale wyjątkowo wytrzymały i niezniszczalny. Wyszedłem dwie godziny po Jurze i miałem nadzieję, że w tym samym czasie obaj się spotkamy w okolicach C3 — to szczególnie ważne, aby nie czekać na siebie, bo wtedy się marznie. Na szczęście udało mi się Jurę dogonić przed C3. Wyszedłem nawet ponad nasze miejsce, ale ze względu na późną porę zaczęliśmy „rzeźbić” platformę na obecnym miejscu. Po chwili doszli Darek i Tamara i wspólnie po dwóch godzinach przygotowaliśmy platformę. Jako, że wiało mocno, mieliśmy niemałą satysfakcje, że możemy schować się do przytulnego namiociku, gdzie od gotowania zrobiło się bardzo przyjemnie. Wyjście na górną platformę obozu 3. Po pierwszej nocy na tej wysokości czułem się wyjątkowo dobrze. Nie znaczy to, że spałem znakomicie — ja w ogóle słabo sypiam, ale za to nie bolała mnie głowa, trochę tylko dokuczał kaszel. Razem z Darkiem i Jurą wyszliśmy nawet trochę do góry, aby zobaczyć platformy na kolejne namioty, ponieważ pod naszą skałą nie było już miejsca. Pogoda była fantastyczna — prawie bez wiatru. Widać, że w tym roku jest bardzo mało śniegu, co dobrze prognozuje warunki wokół butelki, ale z drugiej strony ciężko się idzie po skalnych płytach miedzy obozami — szczególnie w rakach. Po zejściu do namiotów powitaliśmy Kingę, która jako pierwsza doszła do C3 z grupy, która spała w C2. Po dojściu reszty rozbito dwa namioty powyżej naszego namiotu, w miejscu „prawdziwego” C3. Pobudka w obozie 3 nie należała do przyjemności. Zimna noc (tak, tak my też mamy tutaj swoje 35 stopni jak w Polsce) zakończyła się gwałtownym opadem szronu na nasze twarze i śpiwory — wystarczyło tylko trochę porannego słońca. Leniwie zabraliśmy się za gotowanie kaszek i różnych płynów na śniadanie. W południe uznałem, że dwie noce na 7000 m wystarczą dla mojej aklimatyzacji i postanowiłem zejść na dół do bazy, aby rozkoszować się dobrym jedzeniem. Dzisiaj do bazy powróciła reszta wspinaczy z obozu trzeciego. Wszyscy. Tym bardziej się cieszymy, bo na sąsiedniej drodze na K2, Żebrze Abruzzich, doszło do śmiertelnego zdarzenia: w obozie 2 w namiocie znaleziono ciało bułgarskiego wspinacza. Strasznie dziwna i niespodziewana śmierć — prawdopodobnie zasnął/zasłabł w namiocie z powodu jednej z wielu chorób wysokogórskich i się nie obudził. Strasznie to nas przybiło i jeszcze bardziej uświadomiło, że nie tylko lawiny i upadki z wysokości stanowią tutaj niebezpieczeństwo. Często z opisu wyprawy czy zdjęć może wydawać się, że jesteśmy na jakiś wakacjach w Alpach. W rzeczywistości jest 10 razy trudniej i niebezpieczniej, niż się wydaje. Po prostu po co dramatyzować relacje i denerwować bliskich, którzy i tak bez tego zdają poważny egzamin tolerancji dla swoich partnerów życiowych. Po analizie prognozy pogody zdecydowałem się, że wezmę udział w ataku szczytowym, którego kulminacja będzie miała miejsce 24/25/26 lipca. W bazie trwają dyskusje, ludzie ważą za i przeciw takiej decyzji. Teraz nadszedł czas regeneracji w bazie, uzupełniania płynów. Myślcie pozytywnie i trzymajcie kciuki!